Oliver Heaviside (1850–1925), the self-taught physicist and electrical engineer, began his career as an operator on the newly laid Anglo-Danish telegraph cable in 1868. The most advanced electrical technology of the time, the cable system inspired several of his early mathematical papers. This monograph, first published as a paper in the Philosophical Magazine in 1888, then as a book in 1889, draws on his established work on telegraphic propagation and self-inductance, and on Maxwell's field theory. In a fascinating insight into the contemporary scientific community, he complains that these subjects are still often misunderstood, and explains his formulae afresh from several angles. Also covered - and frequently questioned - are contemporary theories of permittivity, the speed of electromagnetic waves, and the dielectric properties of conductors. 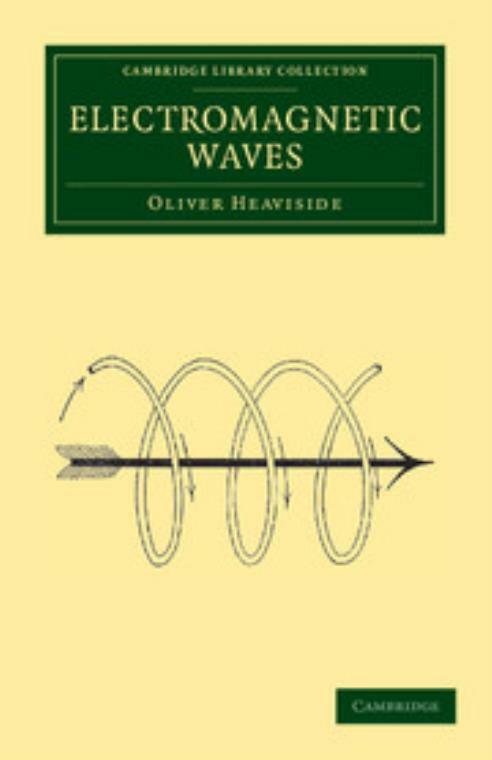 Heaviside's Electrical Papers (2 volumes, 1892) and his Electromagnetic Theory (3 volumes, 1893–1912) have also been reissued in this series. On electromagnetic waves, especially in relation to the vorticity of the impressed forces, and the forced vibrations of electromagnetic systems (1888); Note on a paper on electromagnetic waves (1888); The general solution of Maxwell's electromagnetic equations in a homogenous isotropic medium, especially in regard to the derivation of special solutions, and the formulae for plane waves (1889).